​Need help converting your website to HTTPS? Soon every website will be secured through HTTPS and that’s a very good thing. 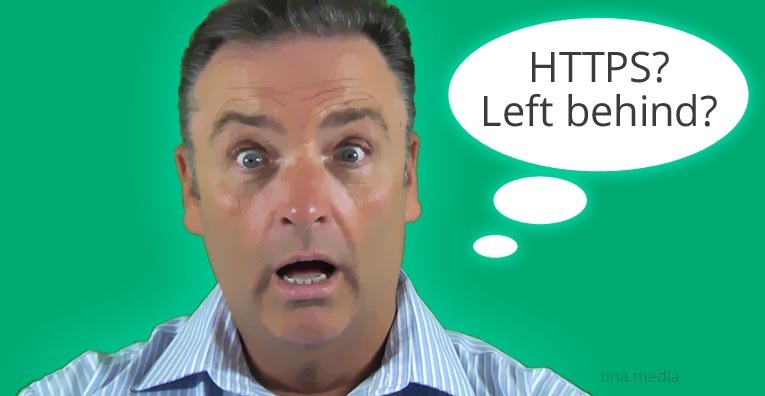 ​If you’re not moving to HTTPS now, you’re going to get left behind fast. HTTPS is the secure communication protocol or way of transferring information online. The "S" stands for "Secure". ​Just to give you a heads up. The new version of Chrome 68 (used by 60% of online users) is now displaying “Not Secure” warnings on all of websites not converted to HTTPS. This rolled out on July 24. ​It’s time to move your WordPress site over to HTTPS. The HTTPS Conversion is a process that's relatively new and complex, and if not done correctly will have a serious impact on your website's performance and security. Unfortunately, there's plenty of misinformation online, and quick fixes that will not serve you in the long term. Don't fall for quick fixes for HTTPS. ​Don't use a plugin that redirects instead of converting your site. This will slow down the access to your content and there are more chances of intervention by a man-in-the-middle attack. Setting up your SSL certificate (free with Let’s Encrypt). Pre-checks, optimizing your database and extensive backups of your website. ​Pausing your CDN and any caching temporarily, if active on your site. Turn CDN back on with new settings for HTTPS, if applicable. Update your site in Google Analytics and Google Search Console and submit new sitemap and request indexing. The only thing I can’t guarantee is your social media share count will be kept. If you aren’t too worried then, like me, okay. If this is important, then I can dig deeper to see if there is a solution which would attract additional cost. ​Your privacy is respected and safe. ​ Your privacy is 100% safe. This form is only for connecting and not any marketing.